Woods Services - Times Publishing Newspapers, Inc.
A social enterprise is a business with a social mission – a business with a heart. Any profits generated by social enterprises directly support the business and funds programs for the individuals involved. Woods Services in Langhorne has operated social enterprises for half a century, beginning with the launch of Yellow Daffodil in 1968. Now a full-service flower and gift shop with two locations, one on Woods’ campus and one in the Pine Watson Shopping Center in Langhorne, Yellow Daffodil creates one-of-a-kind unique handmade gifts, specialty items and arrangements for big and small events. The shop provides individuals with disabilities retail experience that can later be applied to a job in the community. Yellow Daffodil employees learn to take phone orders, design flower arrangements, create crafts and gifts, use the cash register, oversee product inventory and provide exceptional customer service. Woods’ other social enterprises have also seen growth and expansion, leading to the creation of many new opportunities for job training and employment. 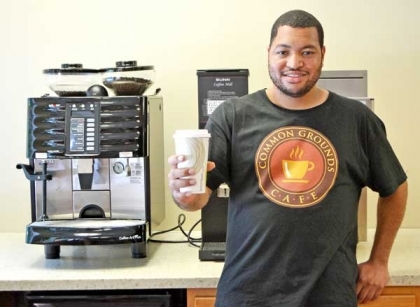 What started as a mobile coffee cart in 2012, the Common Grounds Café on Woods’ campus now sells specialty coffee drinks, sandwiches, salads and convenience foods, and will soon expand to offer pizza and desserts. Woods Wear, adjacent to Common Grounds Café, opened earlier this year following renovations and the purchase of a state-of-the-art printer, heat press and Direct-to-Garment software. This new social enterprise has the capability to print large quantities of shirts for special events or a single customized shirt. Beechtree Products employs people with and without brain-injury to work in a community-integrated business, making bath and body products with love and organic ingredients. The business recently moved to a new location in Penndel where they have more room in which to produce their products for online sales and several local markets. Woods takes great pride in continuing to offer unique work and training opportunities through social enterprises that provide real work experiences and prepare individuals for the next step in their paths toward independence. For more information on Woods’ social enterprises, visit www.woods.org. PHOTO CAP: Woods’ resident Jumanne Jacob works full-time at the Common Grounds Café and is learning valuable skills that he can one day apply to a job in the community.